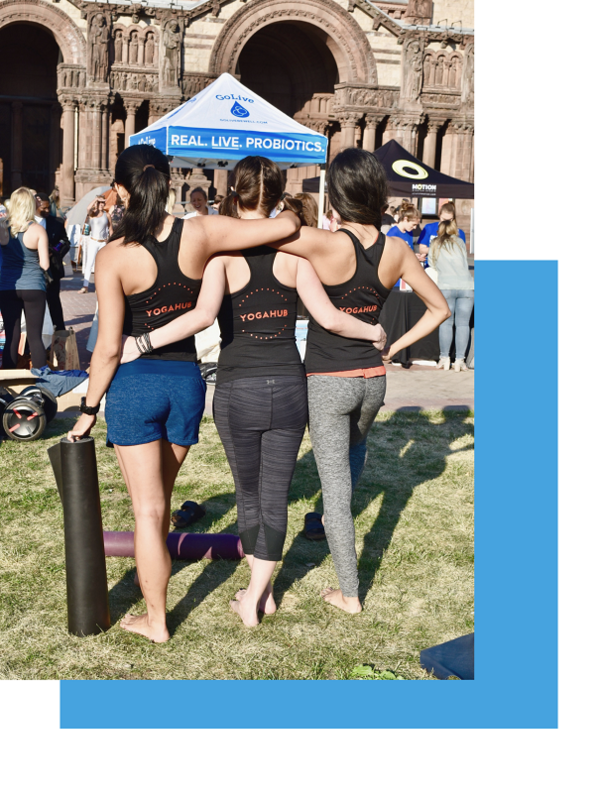 YogaHub is Boston’s yoga network, which provides corporate wellness services for business organizations and professional development and ongoing education for instructors. YogaHub was founded in 2015 by Ali Singer, a Boston-based yoga teacher with deep roots in the local community. In teacher training, Ali noticed that the yoga industry had grown exponentially over the past 10 years, but the sacred traditions of the practice were disappearing. The yoga community was becoming disjointed and falsely represented in the media. Instructors and studios were struggling- they needed support and resources to connect with clients who wanted their services. There was a growing demand for yoga in a variety of contexts, but what was missing was an organization which accommodated corporate requirements. Despite an increasing number of certification programs and instructors, there was little to no unification or professional standards. YogaHub is a solution that honors yoga's roots, unifies and empowers instructors, and enables every individual to experience yoga's benefits. We are a network of dedicated teachers sharing their knowledge of yoga and bringing the practice to individuals and community groups.